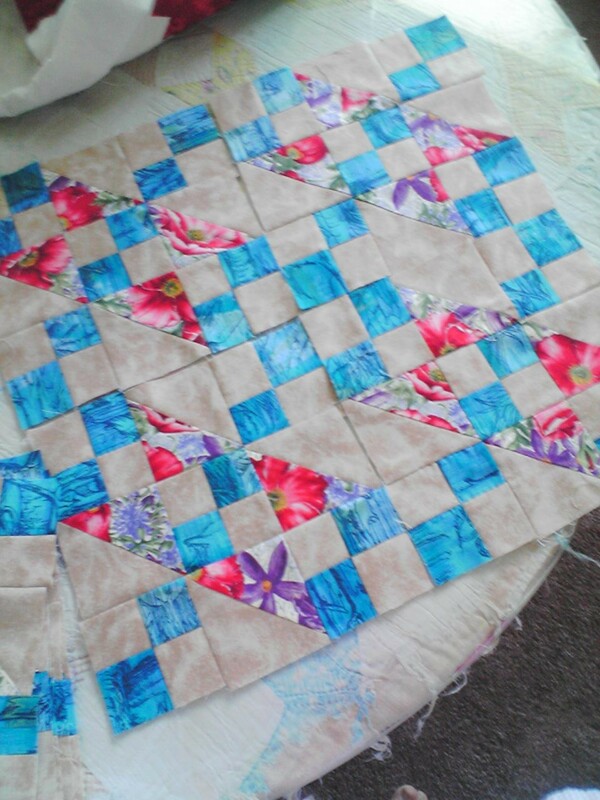 I am handquilting the quilt top I just finished. 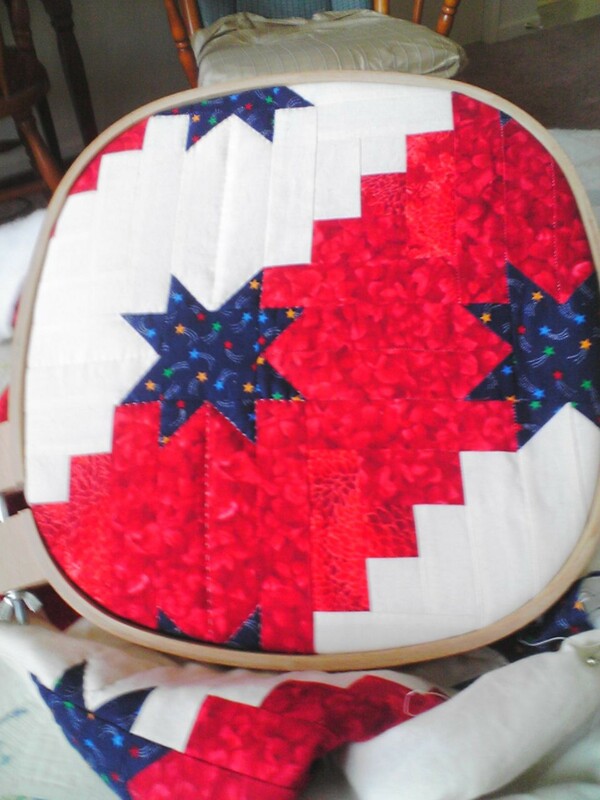 I hope to have it done in time for the 2008 Railsplitter Festival in September. 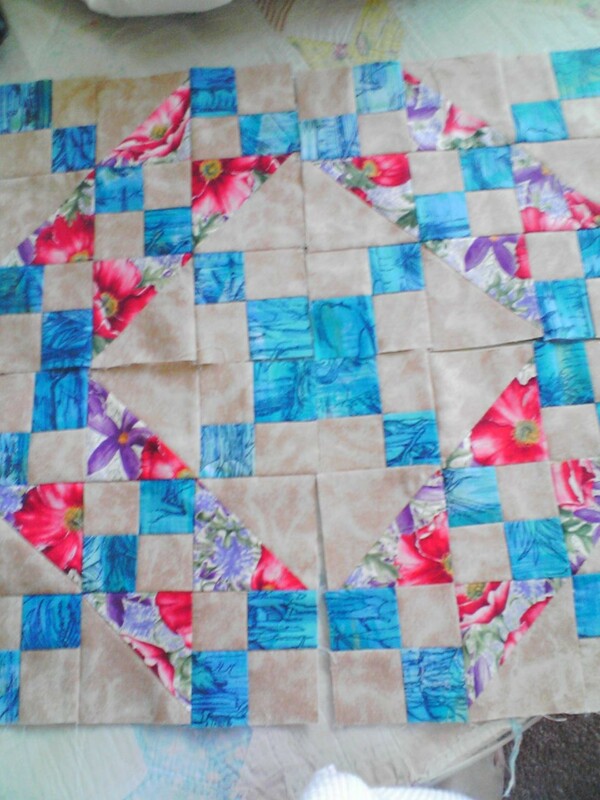 I have also been working on that 10+ yr old quilt I started hand-piecing a loooong time ago. It is a Jacob’s Ladder. 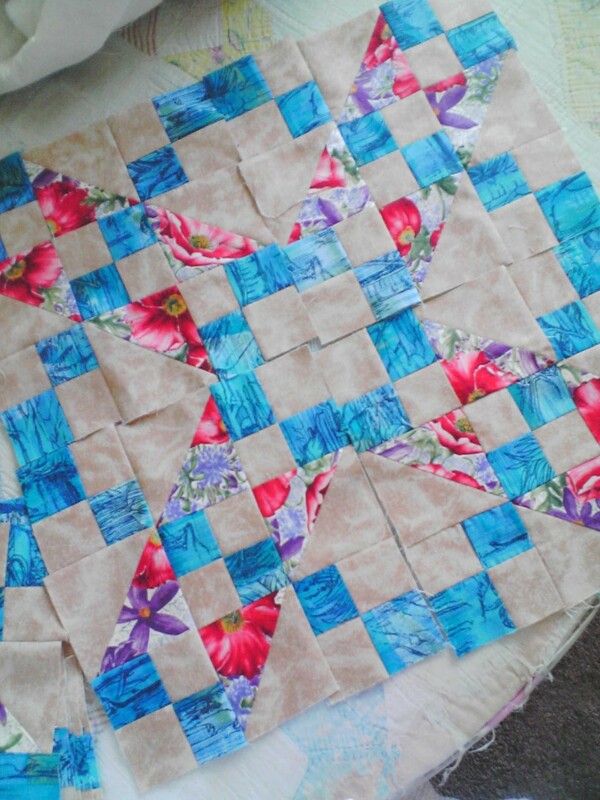 I machine-pieced the remaining 32 blocks for a total of 42 blocks.